Seducing The Muse. …more like a desperate plea. Did you miss me? Well I missed you too! Sorry for my absence. I promise I have a good excuse though. Well, it’s mostly a good excuse. I’ve been fighting the forces of evil with a couple of groovy friends, a stoner, and a talking dog. What? What do you mean you don’t believe me? Yeah, well it sounded good in my head. The truth is rather boring. I’ve been having technical difficulties. The good news is that, after scrimping and saving, and doing more research than an undergrad studying for his finals, I bought a new laptop. Yay! The bad news is that, a few hours after finishing the final draft of “What’s Going On“, my wandering rant about race in America, my two month old laptop got the dreaded ‘blue screen’.– NOOO! Not my baby! — Needless to say I was heartbroken. Fortunately, the remedy was relatively painless. Customer service could not have handled the situation better. The woman on the phone was able to remotely diagnose the trouble. I sent the laptop to the Texas care center on the Friday before Labor Day and received it back ten days later. Yeah. I was surprised too. The whole reason for the laptop was to encourage me to write more. I’m one of those people that have ideas flying through my head all day long but the moment I sit down in front of the computer… nothing. Then there’s the issue of my grammar, which needs improvement. I live in constant fear of the run-on sentence so I tend to drop commas every few words in the hope that a few land in their proper place.– Even a broken clock is correct twice a day. — The point is that I wanted to start putting thoughts to paper (screen?) and thought a laptop might make it a little easier. In high school I loved creative writing. Of course, in high school, I had English teachers who gave us direction and deadlines and… Dickens! — Sorry. Then in tech school I got to let my imagination run free. Tech school was essentially an introduction to communications. We covered the basics of radio and television. The idea was to give you enough knowledge that upon graduation you could easily find an interning position or continue your education. My dream was editing for television so that’s where I focused my energy. My specialty was short subjects. I wrote a lot of commercials. My magnum opus was a hidden camera short where I pranked our instructor. The poor guy was the target of much of our humor. He was a good sport though. He never asked us to compromise our creativity, no matter how ill conceived our ideas. Our world would be a much better place if we had more teachers like Ed Gannon. There’s truth to the old adage, “If you don’t use it you’ll lose it”. It’s been a long while since I’ve had to engage my imagination on a regular basis. I’ve been so preoccupied with writing big and brilliant that I forgot a few basic rules. Write, write what you know, write some more and, for God’s sake, Keep It Simple Stupid! — KISS for short. The news of Robin’s death was such a shock. I’m still having a difficult time believing that it’s true. There are people who touch our lives in such profound, undefinable ways. Robin Williams was one of them. He made us laugh, but he also made us think. He made us question things while we were laughing at them. Like many Americans, I first saw Robin Williams in an episode of Happy Days called My Favorite Orkan. My six year old sister was madly in love with Henry Winkler’s Fonzie so we never missed an episode. So when Mork and Mindy debuted the following fall, it was naturally added to our viewing line up. 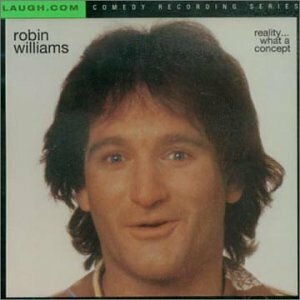 While my family was gathered around the tube watching the weekly adventures of Robin and Pam Dawber, my friends and I were memorizing the jokes form the “Reality…What a Concept” LP, a live recording of Robin’s 1978 Roxy performance. Through the years, Robin Williams has brought us nothing but happiness. News of his death was a complete shock. I still can’t believe it. I thought I had seen every Bette Davis film ever made until last week, when I happened to catch ‘Storm Center’ on GetTV — one of several new movie channels popping up on broadcast television. Storm Center (1956) stars Bette Davis as a small town librarian branded as a communist because she refuses to remove a controversial book from the library’s shelves. The film was released two years after the *McCarthy hearings, at the height of the cold war. It plays up the McCarthyism theme. Complaints are made to the city council about a library book called ‘The Communist Dream’. Mrs Hull (Davis) is asked by the council to remove the book from circulation because they feel it promotes communism and could corrupt young minds. Hull agrees at first, then changes her mind. The council fires her and here is where things spin out of control. A young lawyer (Brian Keith) takes the opportunity to use “The Red Scare” as a platform for his political future. Rumors spread. Lies are told. Mrs Hull is branded a communist. Even her favorite little book worm, Freddie Slater (Kevin Coughlin) makes up far-fetched tales about his mentor. Everyone is willing to believe the outlandish stories in spite of their personal experiences with the librarian. The extremism reminded me of today’s political climate. In particular, our Tea Party movement. *For those of you too young to remember, Joe McCarthy was a Republican senator from Wisconsin who led the witch hunt against American citizens, including famous actors, writers, and fellow politicians, whom he thought might be associated with the communist party. It was the height of the cold war. America was hyper paranoid about Russia. Many people lost their jobs, homes, and families in disgrace because McCarthy branded them “Un-American”. We humans do love to rally around a common enemy. — even if the enemy is made up. Storm Center is a little melodramatic. The ending is kinda corny, but overall, the film is enjoyable. Kevin Coughlin’s Freddie reminds me of me as a little bookworm. Like Freddie, my neighborhood librarian was my best friend. She helped me navigate through the library’s stacks and even allowed me extra books when she thought I could handle it. You’ll have to hunt for Storm Center. It’s not available through Netflix. If you see it scheduled on a local TV station, set your DVR. It’s worth your attention. Storm Center was the first movie to criticize the McCarthy era directly. The Legion of Decency did not like the movie because of what it considered the film’s “pro-Communist” leanings. Instead of condemning the picture, though, it used a “separate classification” for it. That had previously been used on Blockade (1938) (a Spanish Civil War film that the League also thought was anti-Catholic and pro-Communist) and Martin Luther (1953) (because the film portrayed the life of the man who split Christianity, and also because the League thought it was full of inaccurate presentations of Church teachings). What the hell is wrong with these people?? ?